Three different mix, for different needs and interests, including one special idea for families! Have a look and chose your favorite experience with us! 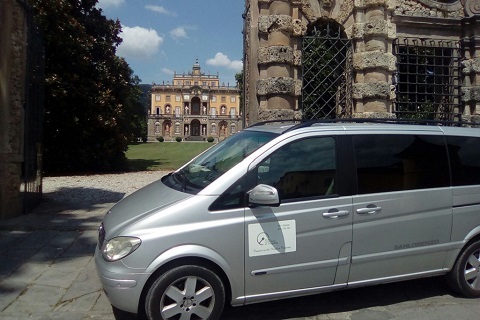 Cruises on the Road in Tuscany organizes a deluxe minivan starting from the center of the town with scheduled departures and stops, that offers the chance to discover the territory optimizing times and costs, in full comfort and safety and joining the van with other few people. 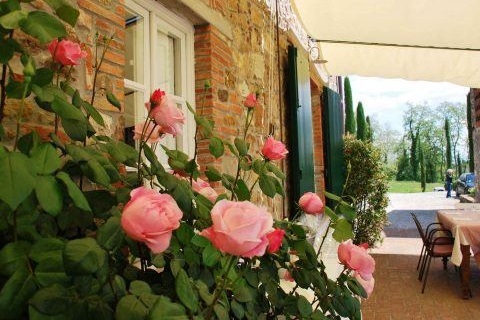 In the spirit of exploration, we will drive you to visit historical Villas with beautiful gardens and small local wine producers, mixing art, history, breathtaking views, the pleasure of being outdoor in the nature and great local food and wine. 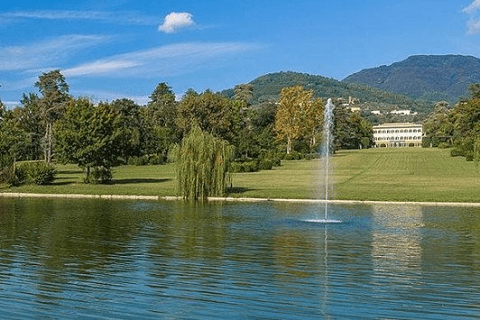 Highlights: An ideal solution for those who wish to discover the historical villas and gardens in the Lucca countryside combined with a great wine experience! 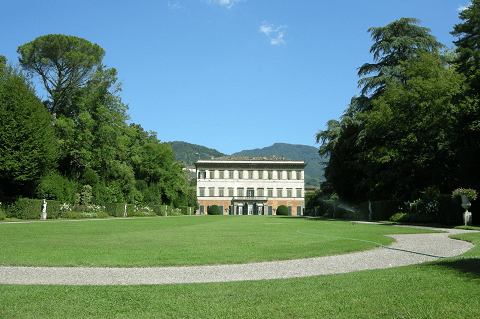 This tour starts with the visit of the 17th century Villa Reale in Marlia, that is considered one of the most important historical mansions in Italy. It was the house of Elisa Baciocchi, Napoleon’s sister and Princess of Lucca. After visiting the elegant royal villa and the other historic buildings like the Grotto of Pan, you can enjoy a stroll in the marvelous gardens among botanic rarities, fountains, plays of water, pathways lined with various types of plants and flowers, following different itineraries, including a new olfactory one, tracing Elisa’s footsteps, to experience the sights, smells, and cultural spirit of her time. The tour continues with a wine experience in a panoramic and privileged position offering sweeping views of the surrounding area. This visit allows you to discover the history and tradition of the local wines and olive oil, through an in-depth explanation of the region, as well as the various phases of production. Following by a tasting with lunch of their extra virgin olive oil and their 5 wines, accompanied by bread, focaccia, cheese, a main course like Lasagne or Tortelli, and a selection of Tuscan and local products. After lunch, another visit of one of the most representative villas of the area, Villa Torrigiani, a baroque villa of the 16th century, a good example to understand the past luxurious way of life of Lucca. The villa was the summer residence of a very influential silk’s merchant and is surrounded by fabulous gardens with plays of water that relied entirely on gravity. The family private chapel and a whole floor of the residence, that preserves the original furniture of XVI century and frescos, are at disposal of the guests. Before driving back to Lucca, we take you to a splendid medieval village, called Montecarlo di Lucca for a panoramic tour of this fortified village. Available on Monday, Wednesday and Friday. Highlights: For those who would like to spend time with their family in the open air, by allowing kids to live a unique experience with a pic-nic in a marvelous Royal park! 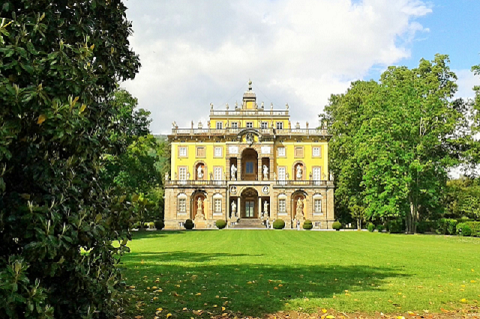 This tour starts with the visit of the 17th century Villa Reale in Marlia, that is considered one of the most important historical mansions in Italy. It was the house of Elisa Baciocchi, Napoleon’s sister and Princess of Lucca. After visiting the elegant Royal villa and the other historic buildings like the Grotto of Pan, you can enjoy a stroll in the marvelous gardens among botanic rarities, fountains, plays of water, pathways lined with various types of plants and flowers, following different itineraries, including a new olfactory itinerary, tracing Elisa’s footsteps, to experience the sights, smells, and cultural spirit of her time. You can enjoy the atmosphere of the park having an amusing and relaxing pic-nic in the nature. 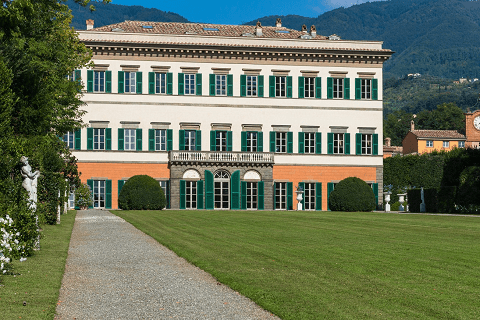 Then, another visit of one of the most representative villas of the area, Villa Torrigiani, a baroque villa of the 16th century, a good example to understand the past luxurious way of life of Lucca. The villa was the summer residence of a very influential silk’s merchant and is surrounded by fabulous gardens with plays of water that relied entirely on gravity. The family private chapel and a whole floor of the residence, that preserves the original furniture of XVI century and frescos, are at disposal of the guests. Before driving back to Lucca, we take you to a splendid medieval village, called Montecarlo di Lucca for a panoramic tour of this fortified village. This itinerary is ideal for families. No wine experience scheduled in this tour. Pic-nic not included. 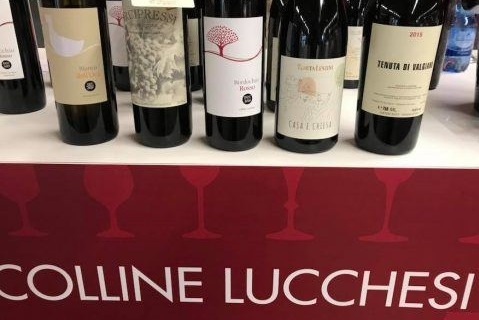 Highlights: If you are a wine lover and you don’t want to miss the tasting of the local ones… A perfect solution for those who’d like to dedicate the entire day to the wines and food of the Lucca hills, in full comfort and safety. The first stop of this tour is in an organic farm, set in a panoramic and privileged position offering sweeping views of the surrounding area. This experience allows you to discover the history and tradition of the local wines and olive oil, through an in-depth explanation of the region, as well as the various phases of production. During the tasting of their extra virgin olive oil and their 5 wines combined with a selection of local products, they will try to help you understand how they work and tell the history of the farm. Then, we move to a splendid medieval village, called Montecarlo di Lucca, where after a panoramic tour of this fortified town, you can have lunch with wine and olive oil tasting in a small family winery-farm, off the usual itineraries, where the nice lady-owner will be happy to guide you for a walk in the vineyards and in the cellars to discover the history and tradition of the local wines and olive oil, but above all she will give you the opportunity to taste the D.O.C. 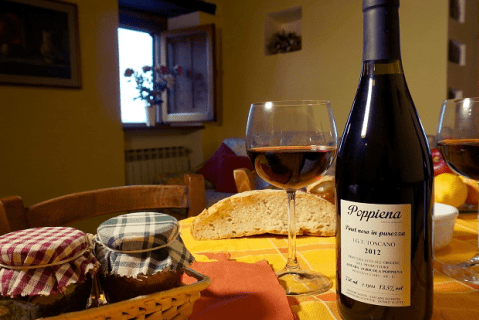 white and red wine of Montecarlo (produced only in this region), combined with the traditional and local cuisine. Lunch consists in a series of courses made of selected products only from this territory, cooked with simple and traditional recipes: different types of home-made bread with extra virgin olive oil produced in the farm, Bruschetta, Tuscan salami and ham, cheeses with honey, local beans, dessert, and other foods depending on the season. Everything accompanied by 8 different types of wine. Please feel free to contact us at anytime for more information your for your special requests! When you book a “Wine Bus Tour” on our website, the tour will not be booked and confirmed right away but you need to receive our confirmation. The tour is confirmed only when we reach at least 6 participants. The booking is accepted and becomes definitive only when you receive our confirmation email. Your credit card details are asked at time of booking, but it won’t be charged until we confirm your booking. From the date when our Company sends the confirmation email, the payment will be charged on your credit card. Prices are all inclusive. Extra costs are not foreseen. The price categories are designed on the basis of the tariffs and reductions provided by the services suppliers (entrance tickets for the Villas and winery-farms). We accept any types of credit and debit card and the full payment is required at time of booking, when we reach the minimum number of participants and we confirm the tour. > If you cancel between 4 and 7 days in advance of the scheduled departure, there is a 40% cancellation fee. The 60% will be refunded, except for the bank charges related to the payment. > If you cancel within 3 days of the scheduled departure, there is a 100% cancellation fee and refunds are not possible.